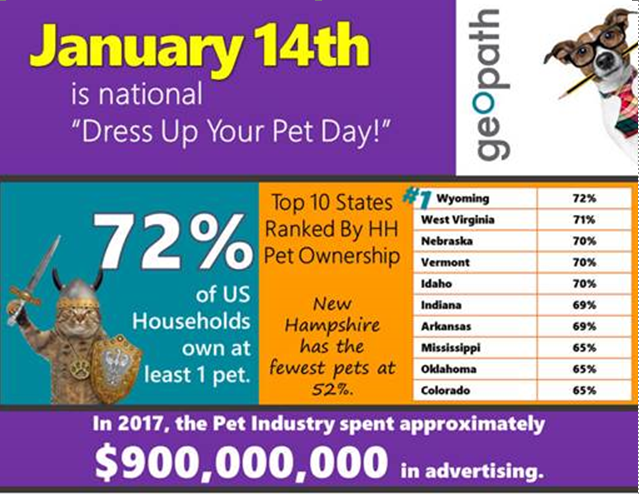 Kym Frank and Geopath reminds us, as pet owners across the U.S took to social media earlier this week, using hashtags and tweeting in honor of national #DressUpYourPetDay, the day also becomes a large win for advertisers. In 2017, the Pet Industry alone spent approximately $900 million in advertising and in turn, U.S consumers spent 72 billion dollars on their pets. 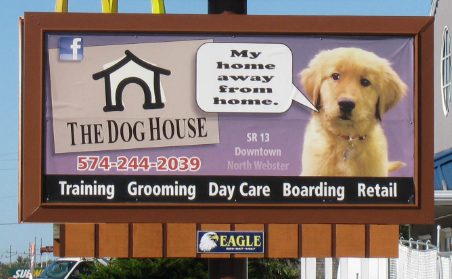 While 58% of pet owners buy their pet supplies online, they are also 14% more likely than the general population to have noticed out-of-home (OOH) advertising within the last 30 days. 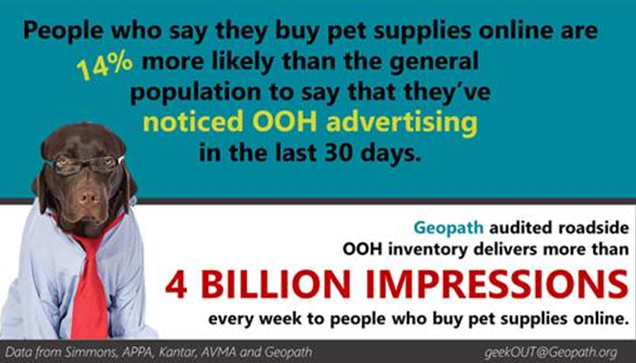 Geopath, a not for profit organization responsible for providing audience location measurement to the OOH industry, reports that roadside signage delivers more than 4 Billion impressions every week to people who buy their pet supplies online. While there is heavy emphasis and marketing dollars spent online, OOH is the one outlet that cannot be blocked and remains to be a powerful influencer in consumer purchasing behaviors is Out of Home (OOH) advertising. You may have missed the day, there is no reason to miss the tremendous revenue opportunities. 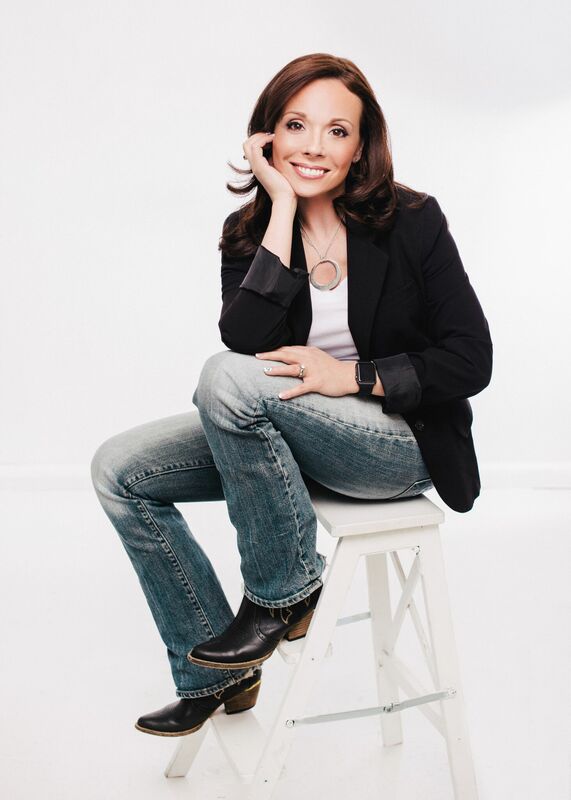 Connect Geopath and Kym Frank, President of Geopath, to discuss how advertisers in the pet industry can better leverage their efforts with Geopath data and OOH.